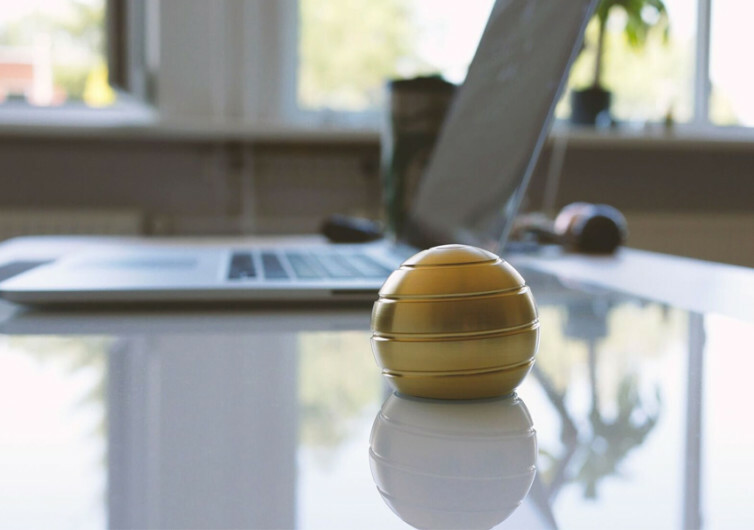 MezmoGlobe is a mesmerizing piece of ingenuity that will put you in a trance-like state, forget all your worries for a while, and give you that kind of inner peace you’ve always wanted without having to undergo decades of training and meditation in a cave. Well, sort of. 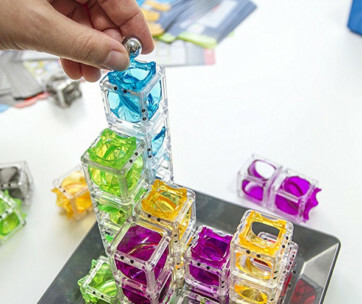 This contraption is a desk toy that can literally turn your day more worthwhile or even your nights appealing. 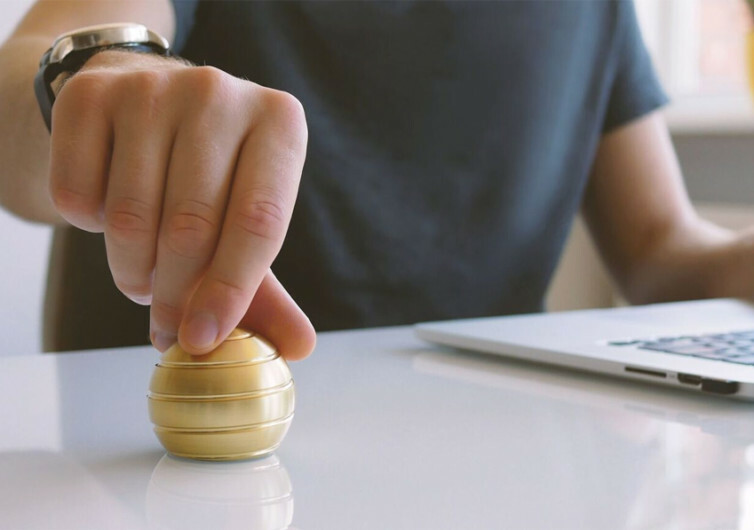 The creators of MezmoGlobe decided to come up with a new design of a desk toy that can provide a full body optical illusion when given a good spin. A simple spin on its metallic body and one is immediately treated to a mind-bending experience that will have you following the graceful lines make their turn as if ripples of water are being spewed forth from the top of the globe. 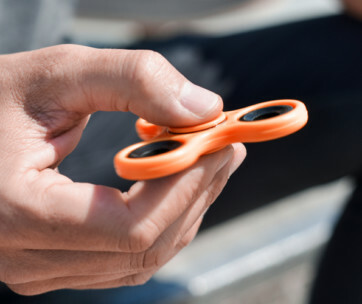 It’s this magical effect that will have your mind questioning the mechanism behind such a simple gadget while letting your soul be taken for a ride in its continuously flowing form. 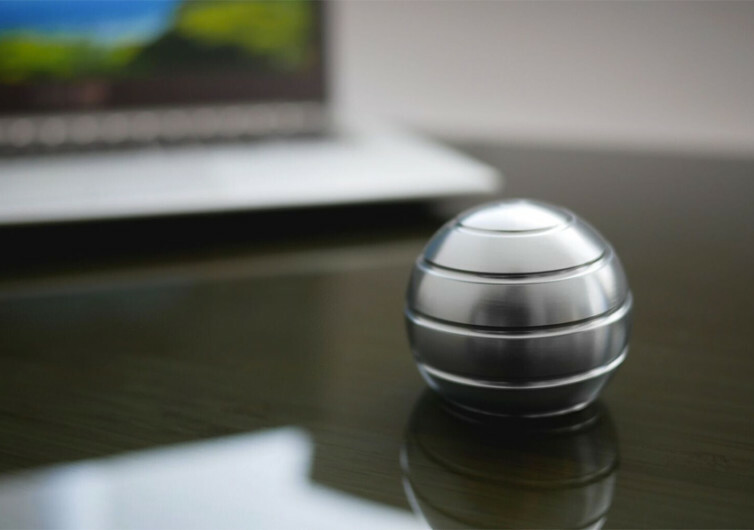 This aluminum-constructed desk toy globe can sit perfectly still on any surface. It comes with a helix-shaped groove that has been meticulously milled alongside the entire face of the steel sphere. It doesn’t do anything. In fact, it looks more like the spherical handle of a traditional door. But the moment you give it a spin, the magic begins. 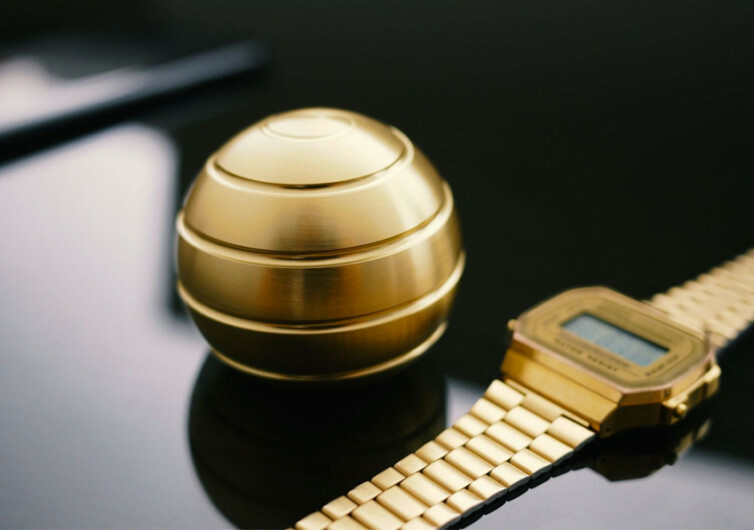 Spinning it like the way you play with a top is the key to unleashing the MezmoGlobe’s awesome magic. 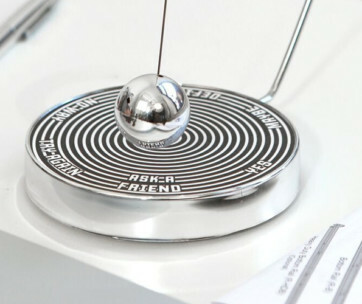 It has a stable base that provides the axis to the MezmoGlobe. One spin to the right or left gives you a continuous spiral of its helical groove, creating the illusion that water is indeed flowing from the top in successive fluid motions. 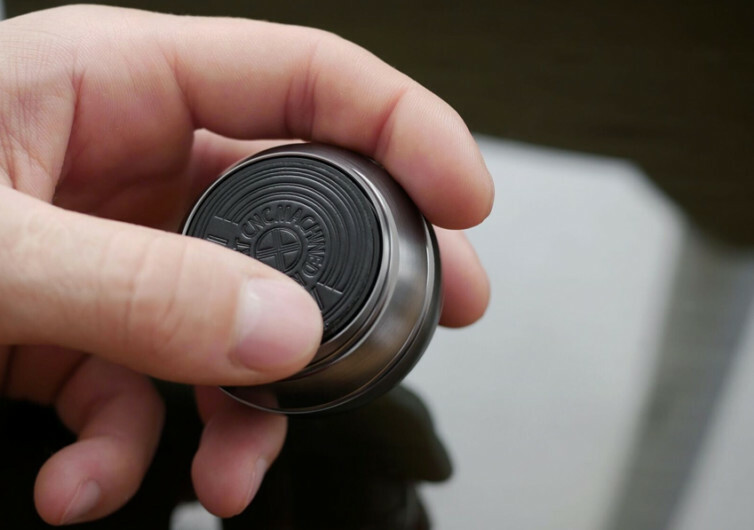 Lift it up your desk and spin it on the palm of your hands and you’d be mesmerizing other folks in the office. Or simply run your fingers on its smooth body and you’ll be treated to a different kind of sensation. Relax, de-stress, or simply focus on what you do. 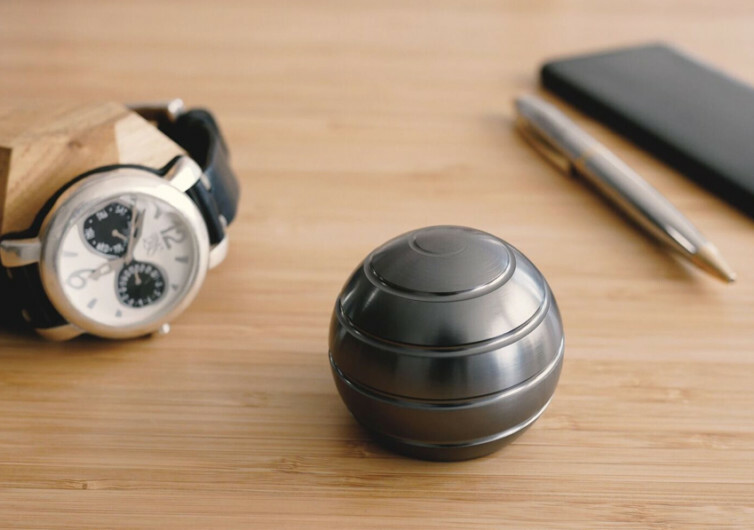 The MezmoGlobe desk toy will put you in sync with your mind.